Nelly Hand grew up in a fishing family and spent summers throughout high school and college working on the family boat in Alaska. Fishing actually helped pay her way through school, but it wasn’t until after she graduated that she decided she wanted to do it for a living. After spending a lot of time with family in cramped quarters (five people on a 50-foot boat), she went to work with other fishermen, and she realized it was truly her calling. Now, she and her husband, Michael, have their own company, Drifters Fish, that supplies wild Copper River salmon to restaurants and consumers. Salmon fishing isn’t an easy business to break into, due to strict rules that are in place to protect Alaska’s salmon stock. “It’s a really big investment to get into Alaskan fishing. They call it limited fishery. There’s only a certain amount of boats and permits, so you have to wait for someone to retire and they’re expensive. It’s a lifetime investment. Nelly and Michael fish for all five species of salmon: King (Chinook), Coho (Silver), Sockeye (Red), Pink (Humpy), and Chum (Dog). They spend most of fishing season (May through September) on their boat. 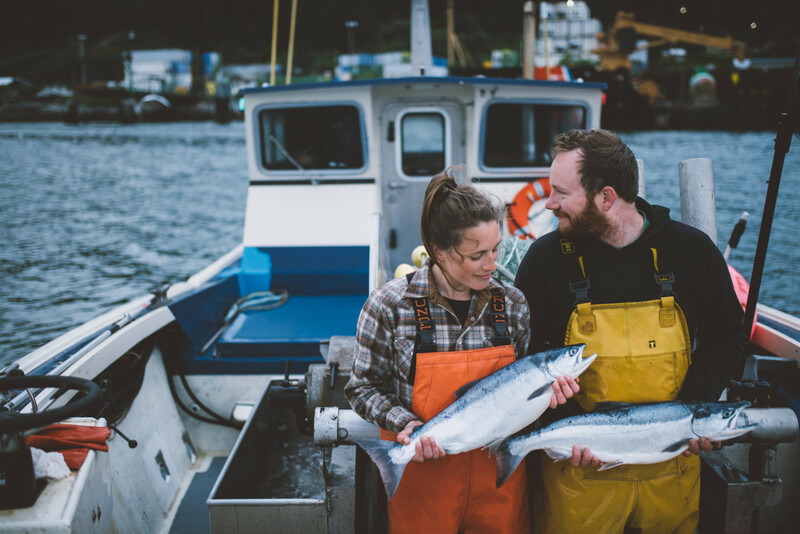 From October through April, they head south to the San Juan islands, and spend their time distributing their fish to Seattle-area restaurants. They’re never far from the water. People are often surprised to learn Nelly is a fisherman by trade. 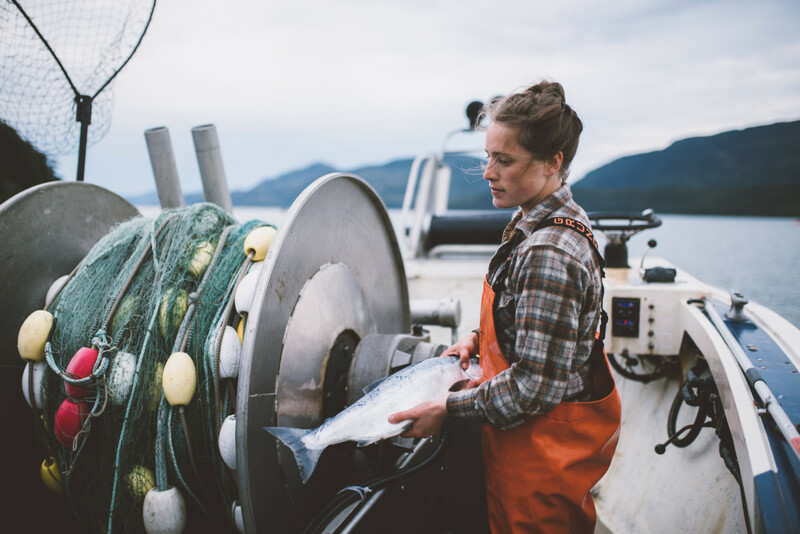 She’s inspired to help change the public perception of Alaska’s fishing industry.